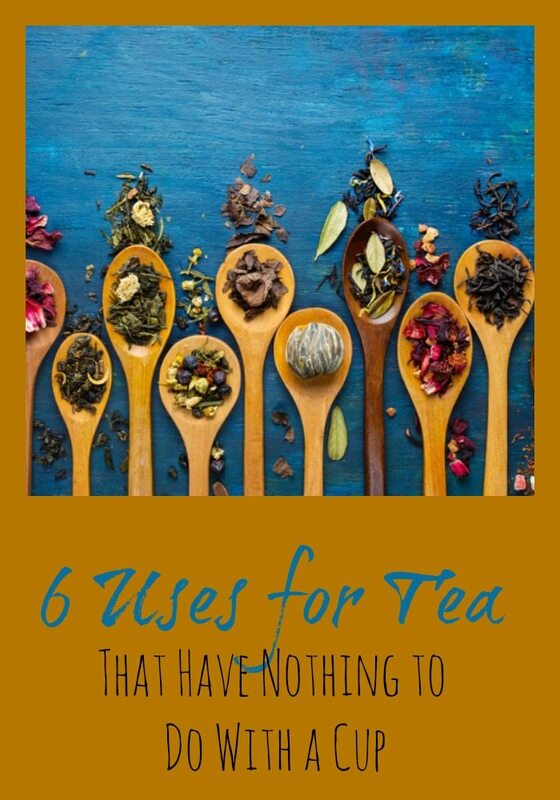 Did you know there are 6 uses for Tea that has nothing to do with a cup? Tea is the most popular beverage in the world next to water, and for most of us, drinking it encompasses the totality of how we experience it. While that experience is almost certainly one of pleasure and the gaining of many well-documented health benefits, drinking tea is just the tip of the tea leaves’ iceberg. There are more uses for tea that you imagine. From healthier hair and cooking hacks to oral hygiene and odor control, tea offers the pioneering tea maven a wide range of uses. Here are six ways to take your tea that have nothing to do with drinking it. While there are certainly many reasons to drink tea if you wish to improve the appearance of your hair, you can also brew a tea rinse for external application. Whether you want to address brittle, dull, or dry hair or even a dry and itchy scalp, a variety of herbal teas can be called upon, including eucalyptus leaf, lavender, calendula leaf, yarrow, and white oak. For healthy hair, simply add some strongly brewed tea to your shampoo and conditioner, or soak your hair for 10 to 20 minutes in a warm bath of herbal tea. Using cleaning agents free of harsh and harmful chemicals is a great idea for any home that has pets or small children in it, and while vinegar, lemon, and baking soda can carry you far on your quest to clean naturally, adding tea to your arsenal will perfect your aims. Because both green and black tea are very astringent, they make ideal cleansers when you’re combating grease, dirt, oil, or dust. Moisten rags with brewed tea and polish furniture. Fill a spray bottle with cold tea and use it on windows and mirrors. Put tea bags into toilet bowls a few hours before you’re going to clean them. Once you’re ready to scrub, the bowls will more easily become sparkling clean. Add brewed tea to homemade or store-bought broths for soups and stews. Poach fish in a strongly brewed tea. Add brewed tea to ice cream bases. Add black, green, or herbal tea leaves to rice when cooking it. Marinate meats in brewed black tea for a few hours or overnight. Add tea leaves to sweet baked goods like scones and muffins. When preparing a dry rub for grilled meats or barbecue, add loose tea leaves to the mixture. While any serious burns should be tended to by a medical professional, the minor burns common to daily life — sunburn, razor burn, the occasional scrape with a hot cooking surface or steam — can all be treated with a bag or two of tea. Simply wet the tea bag and place it on the affected area until the sting has lessened. In the case of a sunburn that’s over a large part of your body, brew some strong tea, pour it into a cool bath, and submerge yourself. Most people choose a mouthwash based on the strong flavor and scent of mint or cinnamon useful in overpowering bad breath. While tea doesn’t have an aroma or flavor that correlates to your standard-issue store-bought mouthwash, its astringent properties banish the bad odors that are present. Just brew a strong batch of black tea and gargle with it as you would regular mouthwash. You can also brew a gargle of peppermint tea with a pinch of salt to combat tooth or gum pain. From litter boxes to foot odor, tea makes a great deodorizer, and it’s an incredibly easy one to use at that. Mix tea leaves in with your kitty litter. Sprinkle loose, dry tea on smelly rugs or carpet. Let them sit up to an hour before vacuuming them up. 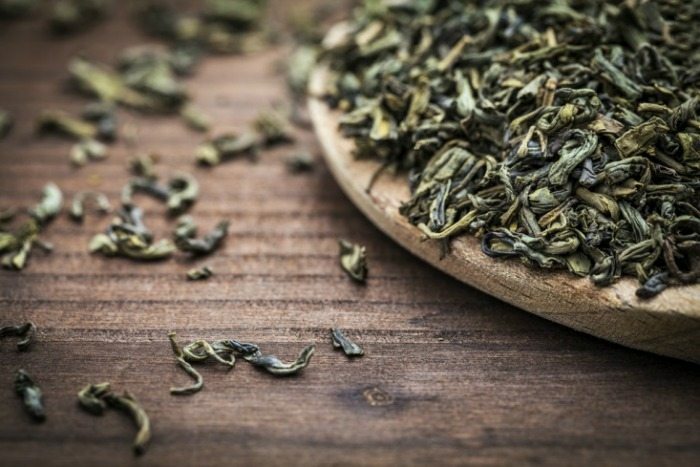 Absorb the odors in your fridge with tea instead of baking soda. Banish foot odor by soaking your feet in a batch of strongly brewed tea for 20 minutes a day. Is it any wonder tea has been a bestseller for thousands of years? From the cup to its practical applications, a tea bag is a world of opportunities. Do you have any additional uses for tea? Oh wow! I had no idea you could use tea as mouth wash! Lear something new everyday. I don’t even drink tea but now I’m thinking we could use it for a thing or two. I love a good cup of hot or iced tea. I have never tried cooking with it but I have used it for a stain for artwork. I love tea so much. I can’t believe I’ve never cooked with it! What great ideas! I use tea bags for bites or bee stings. It really does work at easing the inflammation. I had no clue you could cook with tea! We make ice cream a lot in the summer, so we will have to try it. I knew about some of these – but not the one about getting rid of odors. I will have to replace my baking soda with some tea. I am sure it would smell much nicer. I have cooked and baked with tea and find it to be not only fun, but it I get great flavors from it too. I had heard about putting them in the fridge for odor control, but the carpet? Hmm, I hope my vacuum is strong enough to get them back out!